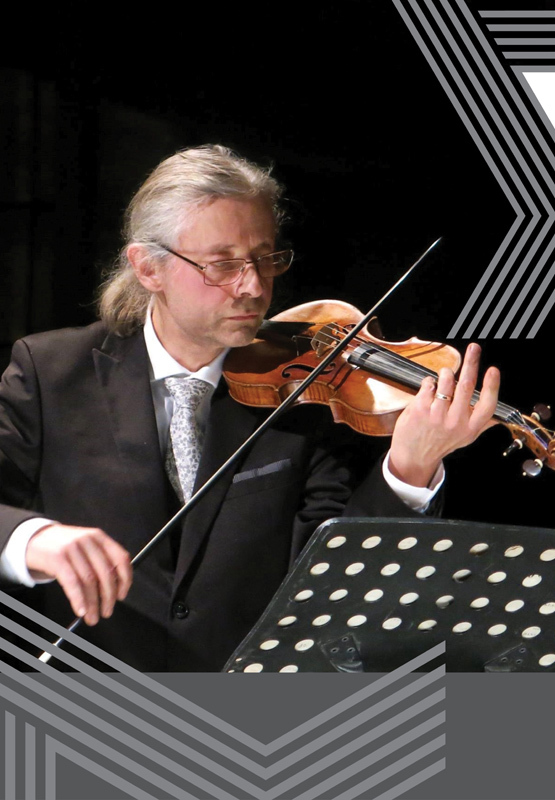 François Fernandez took up the baroque violin at the age of 12. He studied under Sigiswald Kuijken in The Hague (Soloist’s Diploma, Royal Conservatory 1980) and soon became his teacher’s closest collaborator. A member of “La Petite Bande” since the age of 17, he became its leader in 1986. At the same time he worked with the best baroque orchestras of the epoch, usually as leader or soloist: Orchestra of the 18th Century, La Chapelle Royale, Les Arts Florissants). François Fernandez has devoted himself to chamber music. He gives solo recitals, most notably with the Sonatas and Partitas of Bach, and also plays viola, viola d’amore, viola da gamba and viola da spalla. His discography encompasses some 100 recordings, among them the Grammophone Editor’s Choice Leclair Sonatas and the complete solo works of Bach, selected “Best CD of 2003” by the Dutch magazine Prelude Klassiek.